China’s pioneering initiative to institutionalize trade rules and dispute mechanisms for its New Silk Road is especially impactful in making the World Trade Organization irrelevant in and of itself, but when combined with Trump’s recent moves away from this globalist body, it has the effect of dealing what might be a deathblow to the group and leading to its ultimate replacement with a Beijing-led model. 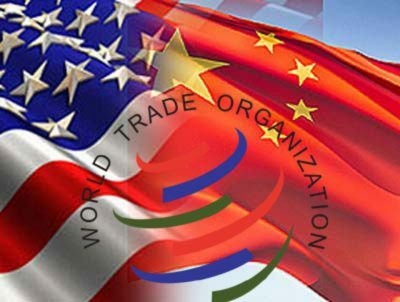 All of the above competencies are pretty much already carried out by the World Trade Organization (WTO), of which China and the vast majority of its partners are members, drawing into question what it is that Beijing wants to achieve by constructing a different institution that redundantly repeats the same tasks as the existing one. Before addressing China’s motives, it’s worthwhile to put everything into its proper international context. Trump’s recent spree of threats to either ignore the rules of the same WTO that the US itself helped found or pull out of the body completely because of its perceived bias against America’s national interests threatens to create an irreplaceable leadership void in the organization. Instead of continuing to invest in its efforts to gradually co-opt various members and reform this US-created body from within, China apparently made the decision that it’s easier to build its own institutional trade structure. Up until recently, China had been simultaneously pursuing the two contradictory tasks of trying to reform the WTO and building a replacement to it, which provided the country with as many choices as possible for flexibly reacting to fast-changing scenarios in international affairs, but the latter goal is now taking precedence following Trump’s signals that he’ll be downgrading the globalist body’s importance in influencing America’s new semi-protectionist economic policies that largely run counter to the same rules the US itself originally promulgated. The unravelling of the WTO could lead to widespread economic uncertainty across the world that would endanger China’s interests, which is why its leadership was prudent enough to implement the back-up plan of building a possible Silk Road replacement to it in case this scenario ever came to fruition. It could also be argued that China might have also had very long-term plans of replacing it all along, preferring to operate within its own international body as opposed to one created by the US. Whatever its motivations may have been, the objective reality is that China’s preexisting efforts to build an international body whose competencies are largely redundant with the WTO’s contributed to Trump’s plans to render this globalist entity largely irrelevant, with both Great Power rivals uncoordinatedly pursuing the same ends of dismantling Western Globalization for drastically different reasons altogether. Trump wants to replace this system with what could be described the “Washington Consensus 2.0” whereas China wants to advance its vision of Silk Road Globalization. About the first replacement model, Trump wants to reassert the US as the world’s most dominant economy by removing all the trade loopholes that his predecessors wrote into law for reasons of self-enrichment & Liberal-Globalist ideology and therefore return to an era of largely bilateral economic agreements that put “America First” in all respects. China, meanwhile, wants to solidify its role as the engine of South-South economic integration and a viable alternative to the US, whose previous Washington Consensus model of leadership is now largely distrusted by most of the world. To paraphrase the famous line from American cowboy movies, the WTO isn’t big enough for the US’ Washington Consensus 2.0 and China’s Silk Road Globalization, which is why both Great Powers are seeking to replace it in the New Cold War. The US doesn’t really see much of a need for the WTO when its preexisting multilateral trade arrangements can devise custom-tailored solutions for resolving disputes between members and Washington wants to focus more on bilateral partnerships going forward anyhow, while China is eager to replace this Western-built institution originally designed to advance American interests with its own Silk Road construction better suited for its own. The end result is that China, just like Trump, is working to make the WTO irrelevant, though in the grand scheme of things, that might not actually be a bad thing for anyone apart from the elite stakeholders invested in indefinitely perpetuating this seemingly outdated system.